Materials used: Corrugated card box, video player, monitor. 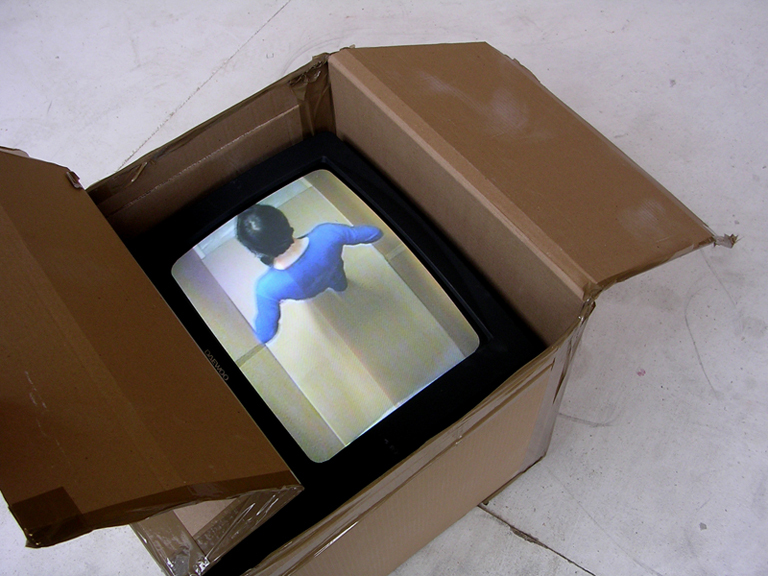 The monitor depicting the artist walking inside the box shows the struggles of an artist to find its own identity and therefore his own freedom of expression. The work is conceived as an installation of many boxes where the artist travels from one box to the other.